Plutora exposes an open API to other tools to enable them to retrieve, create, update, and delete records. 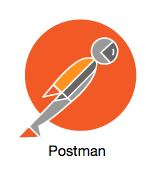 The following article explains how to set up and test the Plutora API manually using Postman. See Visualize Plutora API With Swagger for the interactive Swagger API documentation. You can also download the Plutora REST API Primer v1.4.1 and sample scripts. Error: The request entity’s media type ‘text/plain’ is not supported for this resource. The content of these fields is machine-generated and cannot be edited. Administrators need the API Access Permissions user permission to view this checkbox. Users who lack that permission will be able to see the API Status, API Client ID, and API Client Secret but will not be able to edit them. Tokens expire in 3.3 hours (12000 seconds). After 3.3 hours, please create another token. If you get an error message instead, your Headers tab may not be blank. See the Troubleshooting section below. Select Get from the Get drop-down menu. Click the Key field and type Authorization. Click the Value field and type bearer, type a space, then paste the access token. Your email address should appear. Click the Body tab under the Headers tab. Select Pretty and JSON if they are not already selected. A high-level view of all the Releases will appear. Find and copy the id of the Release you would like to copy. Click to select the raw radio button. JSON (application/json) should be automatically selected. If not, select it manually. Paste the Release data into the top field. Make any changes you like to the data, for instance, adding the text Copy to the name field so that the name of the new Release is different. Go to Release > Manager and search for your new copied Release. “PageSize”: Number of records per page. “Page”: Number of pages. If you request a higher page number than exists, your response will be blank. “Property”: A field. For instance, “Status”. “Value”: A value for the field. For instance, “N/A”. “Limit”: The number of values to return. If left blank, up to 10,000 records will be returned. "error_description": "The client_id or client_secret is incorrect." 1. Enable API in Plutora’s API Customization and generate a client_id and client_secret. 3. Retrieve a Token from the Authorization Server and test the connection. Delete your Key or Value data fields so that your Headers tab looks like the following image and go through the steps of retrieving the access token again. "error_description": "Login failed, you have 5 attempts to login"
You may have entered your username and password incorrectly. Your user account may be locked if you enter your username and password incorrectly too often. Your administrator can unlock your account. There was an error connecting to https://oauth.plutora.com/oauth/token. You may have entered the Request URL incorrectly. Re-enter it and try again. "message": "The request entity's media type 'text/plain' is not supported for this resource." Make sure that the raw type selected is JSON (application/json). Then hit Send again.